“Strategic, targeted, deliberated male involvement.” That’s what Priscilla Nabatanzi from Uganda wants to see in the fight for comprehensive reproductive and maternal health care. 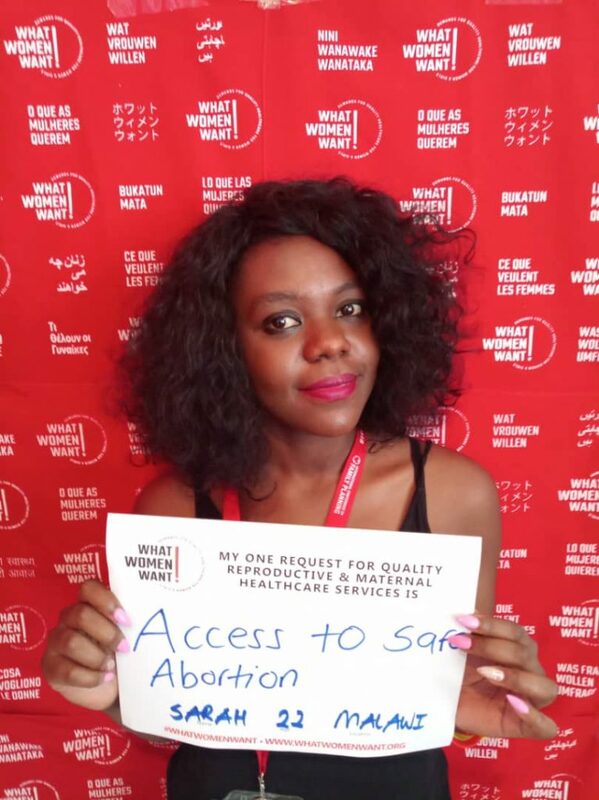 Hundreds of women and girls like Nabatanzi visited the What Women Want booth at the 2018 International Conference on Family Planning (ICFP) in Kigali, Rwanda, staffed by White Ribbon Alliance (WRA), to make their own demands for expanding and improving family planning around the world. 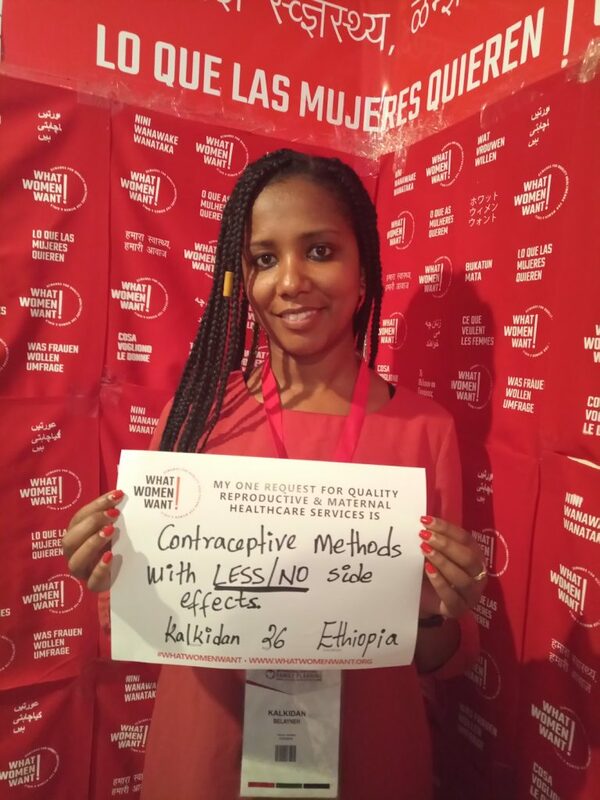 Kalkidan Lakew, a 26-year-old from Ethiopia, wants “contraceptive methods with less or no side effects”—a request that stems from the many side effects women and girls experience while using contraceptives, particularly prolonged bleeding that she says has left marriages broken. Women in Lakew’s community sometimes do not use contraception because they fear these and other side effects, and women continue to get pregnant even when they would like to stop or space out their pregnancies. It’s a complex issue of gender equality that will take many approaches to rectify. “A woman may lose her marriage because of the side effects,” Lakew explained, “which a man may not understand.” And when a couple breaks up, it’s hard for the woman to be accepted. The What Women Want initiative has already collected half of the one million responses from around the world that we seek, and in the process we’re generating the evidence needed to create a detailed advocacy agenda that responds to the needs of women and girls—defined by women and girls. The results will be shared at the Women Deliver Conference this year in Vancouver, Canada. With the support of a global community of voices calling for quality family planning, the hope is that Nanthoka and her friends won’t have to wait much longer to get what they want—and need—to access the care they deserve. Learn more about the What Women Want campaign on at whatwomenwant.org. Read more about the International Conference on Family Planning 2018 here. Winfred Ongom and Mark Muganga Kasiita are WRA Citizen Journalists based in Uganda. Read the original Ms. Magazine article here.